Welcome to our brand new weekly series covering topics from interior design to architecture. 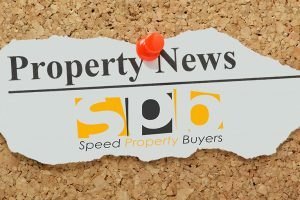 The aptly named series, Weekly Property Speedbites, will be released every Friday. A brilliant piece from zillow.com about what items you should trash before moving to your next property. Neatly laid out in a bullet point list, you should have no problems moving with these tips. If you’re an aspiring landlord or already an established landlord this 10 tips list from biggerpockets.com has everything you need to pick the perfect tenants for your property. Propertywire.com have released research that is bad news for sellers. It seems that people moving in the UK has dropped in 2015, according to new research. Brilliant article from houzz.co.uk about using the right colour palette for your home instead of the traditional bland black colour. Another superb article from houzz.co.uk about a families renovation project on their home. A long winded but necessary read from HomeLet.co.uk. Details on the rental market from the three months leading to July. Research has thrown out a surprising statistic this week. Home owners in a street with the name ‘lane’ have a property that costs over £100,000 more than those on a ‘street’. The Labour leadership debate continues, meanwhile Moneyweek.com take a look at Jeremy Corbyn’s opinion on the Buy-to-Let scheme. The telegraph.co.uk have interviewed a couple in their late 60s who are about to lose their home due to bad investment advice. A rising trend. theguardian.com has been warned by the Royal Institution of Chartered Surveyors that property stock has dropped for a 6th month in a row, while demand increases. rightmove.co.uk have released their own guide to organising your university accommodation with little time! This article from the telegraph.co.uk has shown that UK property is now at it’s lowest rate of repossession EVER. From propertywire.com. Average asking prices in England and Wales increased by 0.6% in England and Wales in July while in Scotland there was no change month on month, the latest index shows. A bit of fun from curbed.com, if you’re a Star Wars fan you will love this Galactic Senate looking apartment building. houzz.co.uk once again delivering great tips to the general public on how to style your bedroom walls.